A business man, Mr. Chris Emeto has been arraigned at a magistrate court in Enugu State presided by His Lordship D. K Eko, for allegedly issuing fake visas. Emeto was arrested by the operatives of the Special Anti Robbery Squad (SARS) after he allegedly issued fake visas to the complainant, Mr. Patrick Eko. Eko told the court that he met the accused some fifteen years ago and they have been very good friends since then which made him confident when the accused told him that he procures visas of which made him pay the sum of nine hundred and ninety thousand naira (N990, 000) into the accused account for visa procurement on March 20th, 2015. He said the visas were for his relation; Aniagu Chibuike, his friends, Chijioke Nnaji and Sunday Nwobodo which the accused did not fulfill. The complainant also told the court that he has been calling the accused who has not been responding to his calls. The prosecutor C. P Nwachukwu, told the court that after the complainant reported the matter to them, they went with an unmarked vehicle to the accused church, where they waited for church dismissal after which the accused came outside the church premises himself to ascertain who the car owners were since according to him they had been at the church premises for long. He further disclosed that it was when the accused got to where their unmarked vehicle was packed that they apprehended him. The charges read: "that you Emeto Chris, male and others now at large on the between the month of December, 2015 to 20th March, 2017 at First City Monument Bank, Nkpokiti Junction, Presidential road Enugu in Enugu North magisterial District did with false pretence and with the intent to defraud obtained the sum of nine hundred and ninety thousand naira (N990,000.00) from one Chief Eko Patrick, with the pretence that you were going to secure travelling visa to his relation one Aniagu Chibuik and his friends Chijioke Nnaji and Sunday Nwobodo the promise which you never fulfilled knowing same to be false and thereby committed an offence punishable under section 386 of the Criminal Code CAP. 30 Vol.II, laws of Enugu State of Nigeria 2004,” the charge sheet read. The accused pleaded not guilty and said that he collected the amount from the complainant and a visa was issued but the visa was later confirmed to be fake. The representing Counsel, John Onah, pleaded for bail for the accused on liberal terms saying he is a “Business man who secures visa for his client that sometimes in business, you get a bad one,” he said. 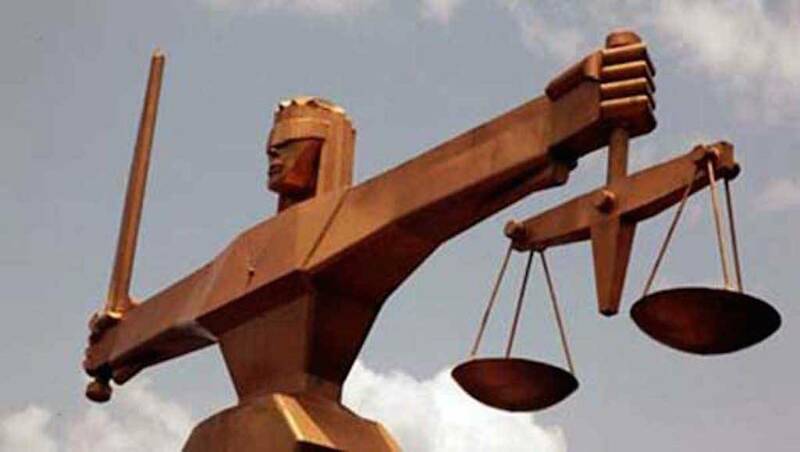 The accused was granted bail with the sum of N800,000 and a surety in like sum who must be a civil servant of not less than grade level 15 and must submit to the court three years tax clearance certificate. The surety and accused are to submit to the court two full size photographs each. The case was adjourned to the 10th day of October, 2017 for hearing.